Located in the heart of Himalayas, Ukhimath is known for offering picturesque view of Neelkanth and Kedarnath peaks. The place is a popular tourist destination of Uttarakhand and located only 41 kms away from Rudraprayag (a district of Uttarakhand). 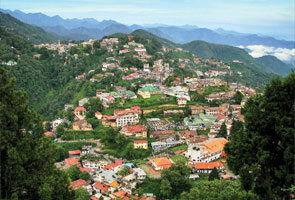 The place is apt for travelers those love to enjoy the nonviolent and immaculate serenity of a hill station. Besides, Ukhimath is popular for its ancient temples dedicated to Usha, Goddess Parvati, Lord Shiva, Aniruddha and Mandhata. Along with that, the famous Utsav Doli of Lord Kedarnath and Madhyamaheshwar are brought to this wonderful place during winter. 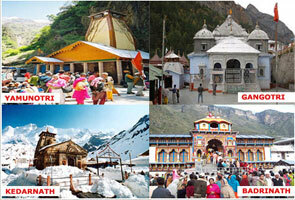 When Kedarnath is closed during winter then Lord kedarnath is worshipped here at this place. Maximum numbers of crowd can be found at this place throughout the year especially in winter. Initially Ukhimath was recognized as Ushamat. Later its name was changed into Ukhimath. This was the place where wedding of Banasur’s daughter Usha and grandson of Lord Krishna was celebrated. 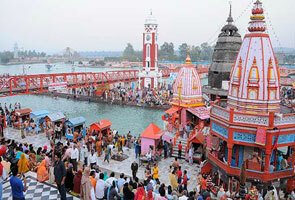 There are several other temples are situated at this place you shouldn’t miss to visit. Ukhimath is a very beautiful and popular tourist place of Uttarakhand can be visited throughout the year but idea when Kedarnath and Madhyamaheshwar are brought here for worship. As usual like other hill station Ukhimath is cols in summer. You can find highest temperature during summer is in between 20 ° C to 34° C. In January you can expect the temperature up to 6 ° C , in February 8 ° C, in March 14 ° C, in April 18 ° C and in the month of may it is 23 ° C. So in case you are planning to visit Ukhimath in winter then don’t forget to bring heavy woolens otherwise, you may have to suffer from extremely cold. Prevention is better than cure so be careful and bring heavy woolens with you. Cuisines of Nainital are lip-smacking and you can grab the test of varieties of dishes throughout the year. To provide you varieties of dishes, several multi-cuisines restaurants are available here; few of them are associated with hotels or resorts and many of them are separately situated. You can’t assume Ukhimath as the best shopping destination but still you can try some casual products at very reasonable price. 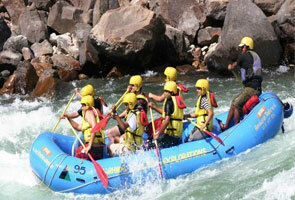 If your trip is going to Ukhimath then visiting its shopping places can give your additional memories.